Dan Christensen returns to discuss his significant gains in healthful eating and walking to work, as well as add his always hilarious commentary on our own stories. Dan recommends the book Wheat Belly if you’re curious about the diet issues we discussed today. 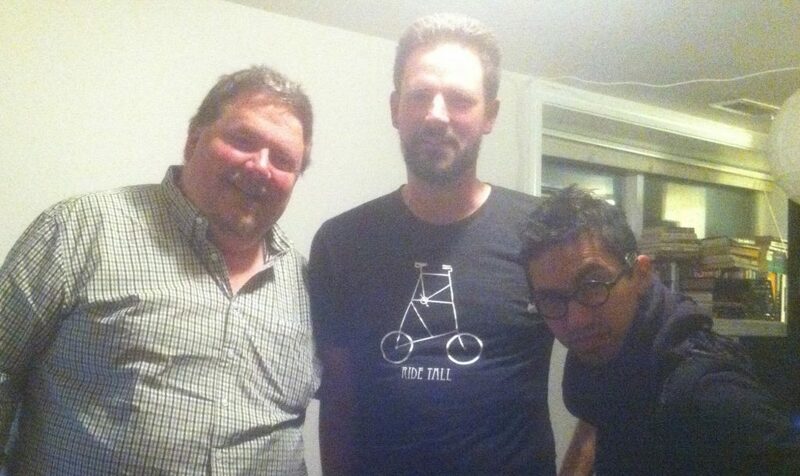 Brock & Aaron also discuss Brock’s trip to the south, airlines and driving cars, not taking paved shoulders for granted, Recycled America’s presentation at Velo Cult, eating roadkill, and more. Jack comments on twitter on civil discourse and Sim City’s urban planning educational benefits. A voicemail from Jeremy about Chicago. Rory from Kalamazoo loves Bolt Bus and might move to Portland someday! Phoebe from Boston comments on unexpected bike crashes, Meeky Blizzard’s poise, and sexism on transit. Martina writes in to address Steve’s “women in the cycling industry” questions at more length – read the full text of her responses here.